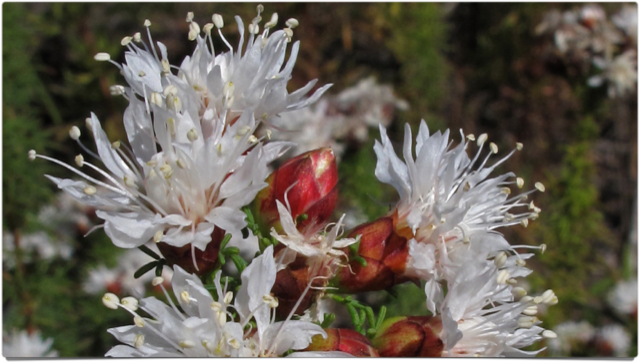 Largeflower false-rosemary, Conradina grandiflora, is endemic to scrub habitat in Florida (a species that exists nowhere else in the world). 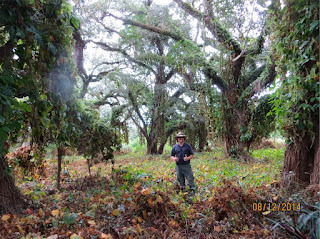 Broward's last remaining scrub habitat is now 1% of the scrub land that existed in 1943. Photo by Bob Peterson. 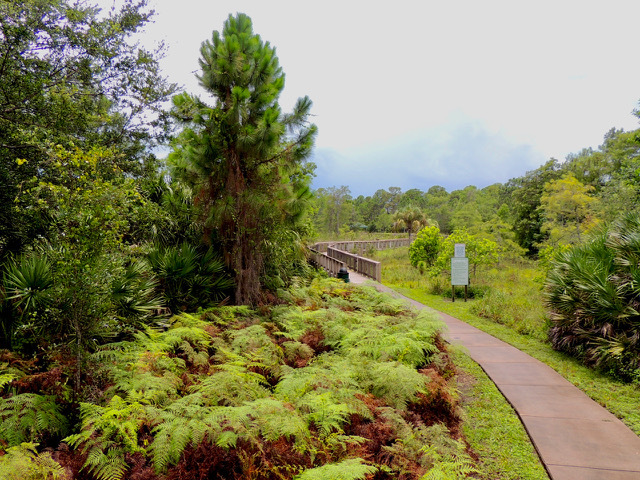 Broward is Florida's second most populated county, so its urban density surrounding these parks and preserves makes conservation a new challenge. We are facing widespread local extinction sooner than other counties. To grasp the conservation problem—and opportunity—it might be useful to think of our small preserves as the outdoor rooms of a living natural history museum. As caretakers of the last remaining wild places in Broward with a responsibility to protect rare and valuable living collections, we get a failing grade. The community is blind to the rapid deterioration underway, the small size of these rare populations, and the relatively cheap price of saving wildlife and wild places for science, for public education and enjoyment, and for the future. 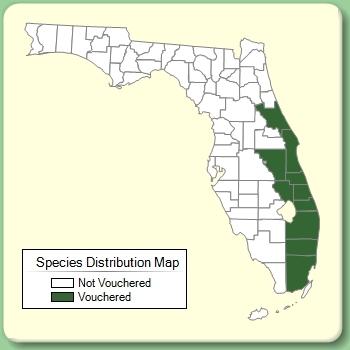 No funded studies of rare flora and fauna in Broward or publications about them have accurately declared Broward's current conservation status. We know from the Institute for Regional Conservation (IRC) that 21 plant species are extirpated (locally extinct). 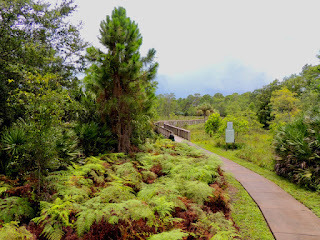 An additional 16 plant species were historical in Broward (probably locally extinct). In other words, one in 20 of all native species is likely already lost. Broward County has additional records, but I am not aware that they have been scientifically reviewed to improve and update the IRC data. 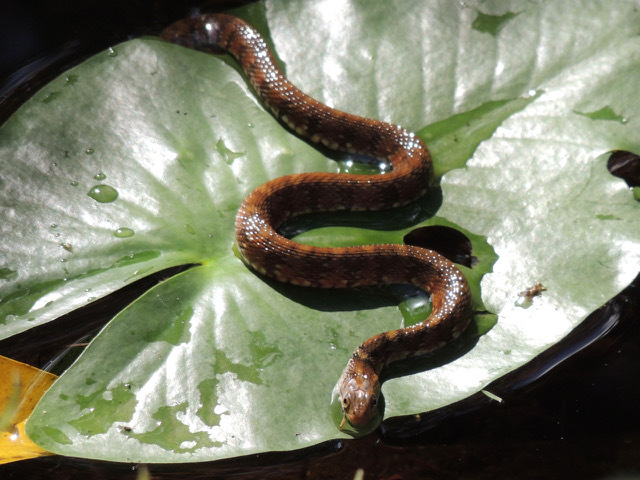 It is tragic that we haven't yet published a report of all plant and animal species on the brink of extinction in Broward so that the public, conservationists, foundations, and county commissioners could be sufficiently alarmed. 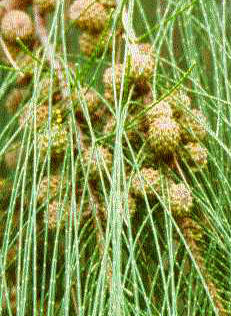 The worst threat to indigenous species in Broward is invasive plants. By definition an invasive species is an exotic plant that displaces (kills) native species in the wild. 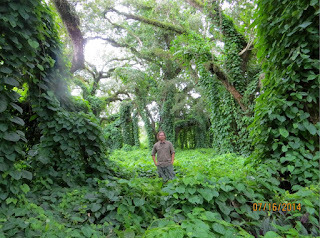 In the photo below, Air-potato vine smothers a forest. There is no food for wildlife here. It silently starves trees and nearly all beneath until County Park employees or contractors come to free them. 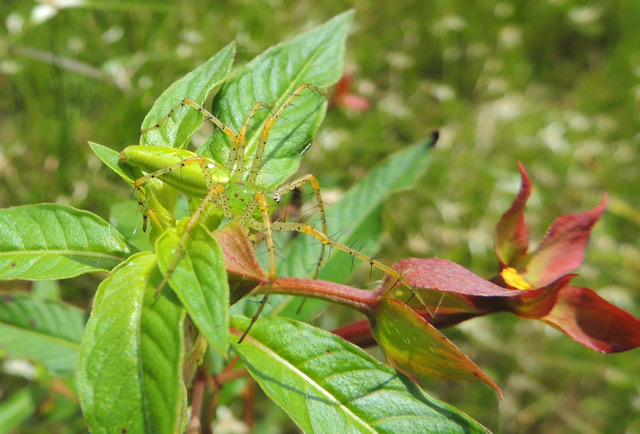 The county invasive removal program is underfunded and no match for the pace of invasive growth. Each season is an increasing threat to fragile rare plants and animals, the most exciting elements of our wild places. Above: Common air-potato, Dioscorea bulbifera, a Category I invasive plant from Africa and Asia, usurps sunlight, moisture, and nutrients, eventually killing even large trees. Below: One month later, a Broward Park staffer gives thumbs up to hard-won success. Different highly invasive plant species require different scientifically tested methods of removal to protect rare indigenous species and habitats. No media attention, no political speech, no commissioner, few conservationists, and no money. Marjory Stoneman Douglas asks the people of Broward to commit $1,000,000 (the county budget is $3.7 billion) to invasive plant removal as a one-time cleanup effort and then further commit to doubling the annual invasive removal budget from the current $300,000 to $600,000 (more in line with the per acre budgets of Miami-Dade and Palm Beach counties). Look through Broward's budget line items to ponder why so many other priorities are more important than saving nature in Broward. 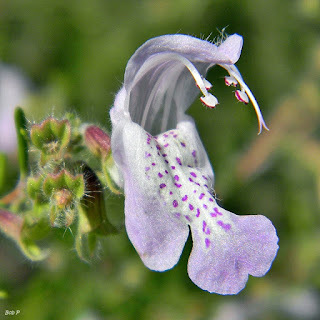 The public and charitable community are not yet aware of the silent invasive plant crisis, the relatively low cost to control it, or the value of remaining wild places. 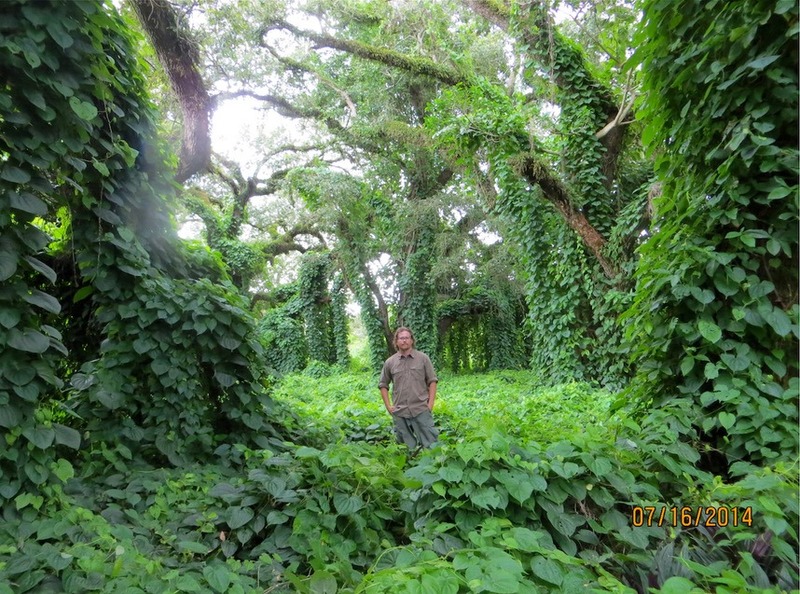 While urgent, invasive removal is not a sufficient vision for Broward natural areas. Each preserve needs fencing and signage that expresses the importance and value of what it contains. Each needs to educate unobtrusively (museum technologies provide high-quality video or captioned photography on smartphones as you walk by and without the clutter of signage). Broward natural parks and preserves could be exciting educational portals to understanding South Florida's alluring and unique subtropical ecosystems, not as dusty display-case exhibits, but within living nature, telling the history of life and its current adaptation. Scientific research should be a constant to discover what is unknown, monitor conservation, excite the public about nature, and further understanding about how nature is responding to urbanization and climate change. 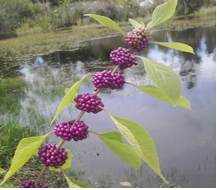 But to enjoy natural places in Broward we must do the most basic and essential step of controlling the invasive plants that are now rapidly destroying these places. Join me in sounding the alarm. My voice is not enough to awaken the community.